Weapon Modification is a feature that allows you to modify various weapons by finding blueprints in the wild, crafting the modification and equipping them on your weapon. Weapon modifications are essential if you want to get better at the game, as they provide permanent buffs to your weapons that will last you throughout the entire game. Aid drops, Red zone chests, Bunker Alfa, Convoy Event and Floppy Disk Locations all have a chance of giving you weapon blueprints. The Farm and Blackport PD have a guaranteed chance of giving you weapon modifications, assuming you open the farm chest and trade in badges at the PD. 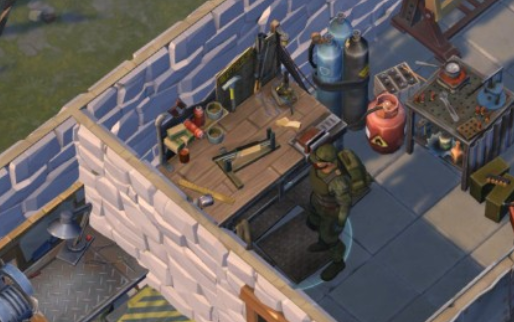 The Farm and PD also only contain certain types of weapon blueprints, if you are looking for melee weapon blueprints, look no further than the farm. If you are looking for gun blueprints, Blackport PD is the way to go. These blueprints range from common grey blueprints, to very rare purple blueprints that might even contain active skills. Once you learn the blueprints that you have collected, you will be able to go to your gunsmiths bench and craft it. There are two stations on your gunsmiths bench, one for building weapon modifications and one for equipping weapon modifications. You’ll want to go to this station for building weapon modifications, shown in the picture below. These modifications can range from small easy ones that are easy to build and only give a minor boost in damage, durability, critical chance etc. To very rare mods that offer huge benefits like big increases to multiple stats across the board, or even an active skill, which provide you with useful skills like stunning enemies, dealing critical damage, bleeding and so on. 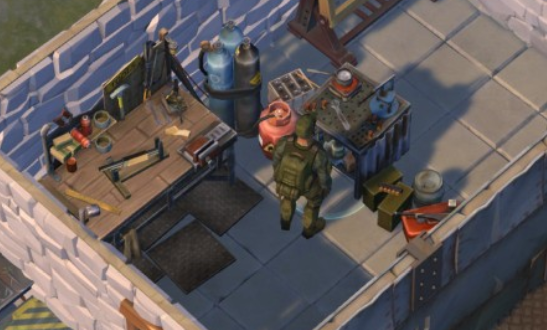 Weapon modifications are a long term investment, so choose the blueprints that you want to build carefully, or you might regret your choice later on in the game. Equipping modifications is a fairly simple process. Go to the station shown below, select your weapon and start equipping modifications that you have already built. You’ll notice that there are two buttons at the bottom left of the screen, the one at the top is for saving the current modifications that you already have on, and the button at the bottom is for quickly equipping all the modifications that you have saved. And that’s all for the basics, now you’re ready to go out into the world and start finding and building your very own weapon modifications so you can dominate the wastelands. As always thank you all for reading, we hope you found this guide helpful, leave a comment below to let us know what you want covered next.